Stretch marks look like long thin streaks on the skin and they can change in color depending on how recent they are. When stretch marks are newly formed they are a pink or red color which makes them highly visible. These are the best stretchy marks to address with a stretch mark cream. As stretch marks age they are often a purple color and then fade to a silver/ white once they are older than a few months. Once the stretch marks fade to white, they are often harder to diminish. This is when more invasive options may be needed like laser or surgical options. Laser stretch mark removal is the process of sing light pulses to remove the upper layers of the skin so that it is smooth and stretch marks begin to be lighter in appearance. 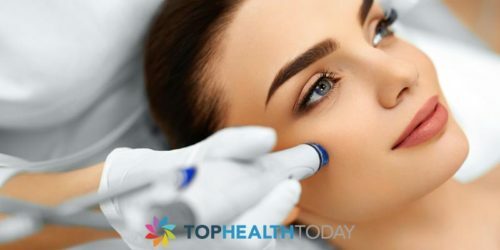 Laser is often a quick treatment but it does not mean that it is cheap. Laser can range from $25-1000 dollars and so on. It depends on the area you are treating and the amount of treatments needed to make the individual with the stretch marks satisfied. Surgical stretch mark removal on the stomach or hips can be classified as a tummy tuck. This is because the stretch marks are completely diminished and are no longer visible after this procedure. However, scars can form once the incision site has healed. A scar might not look much better than stretch marks, but for those who are serious about getting rid of their unsightly stretch marks. However laser and surgical procedure are not the only options to help improve the look of stretch marks. Creams can help also, but they are not treatment options when bought over the counter or online without a prescription. The best stretch mark creams are those that have no harmful side effects connected to them and may offer visible results in a couple of weeks. It is important to use products that have no known side effects connected to them so that the skin does not become irritated. To learn more about creams for stretch marks, refer to an alternative informational page. Does Microdermabrasion Help With Stretch Marks?